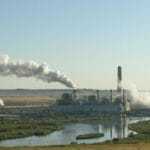 The state of Idaho has written the U.S. EPA to warn Idaho’s reliance on out-of-state coal-fired power plants is too important for new EPA regulations to reduce greenhouse gas emissions that are accelerating climate change and its countless impacts – if those regulations lead to any power plant closures. Also, the Idaho PUC denied an appeal by the developer of what would have been Idaho’s first utility-scale solar project against Idaho Power. On the good news side, the NW Power and Conservation Council reports that in 2012, energy efficiency was our second highest energy resource, second only to hydropower. And Idaho Power recognized Boise commercial real estate firm Thornton Oliver Keller for some eye-popping energy savings in a retrofit project it’s working on. And we look at some coming events and meetings in the weeks ahead. Thanks as always, and if you have any calendar items, please send them along!